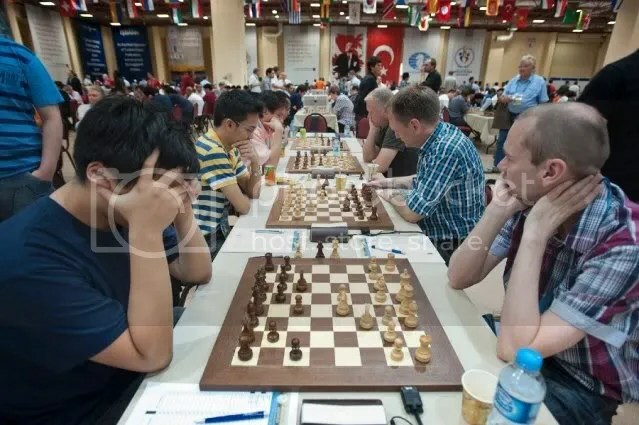 Round-4, was indeed an initial stage of the “Battle of Chess Titans” (Open Section) and the battle of the “Perfect scorers” as well after round-3(R3), where the #1 seed Russia asserted its might winning 3-1 against #6 seed China. So with the defending champion & #2 seed Ukraine winning 3-1 against #16 seed Poland. Title contenders #5 seed USA tied at 2-2 with #13 seed India. #7 seed Azerbaijan also made a truce @ 2-2 with #14 seed Germany, and #8 seed France also did a 2-2 results against #11 seed England. The much awaited Battle between the #3 titan Armenia, against the Tournament’s surprise R3 perfect scorer, the ‘not so titan‘ #35 seed Team Philippines, where many had predicted an easy win for Armenia, turned out a narrow escape win, a 2½-1½, for the 2006 & 2008 Olympiads Champion. 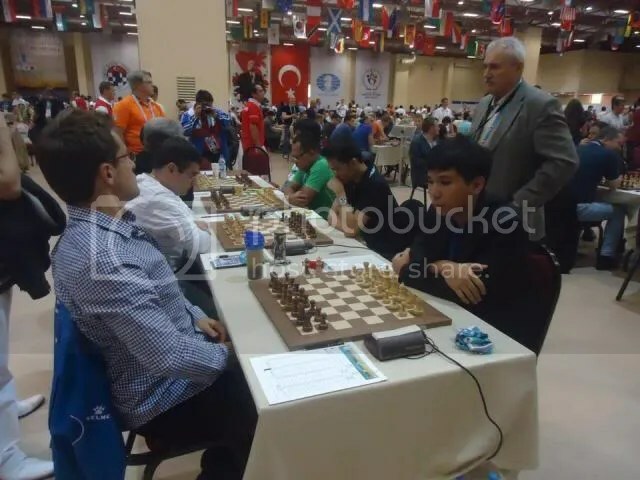 Armenia’s Top Board player GM Levon Aronian, after Armenia’s narrow victory against the Philippines, had only but praise to his opponent GM Wesley So saying, “he is a talented player from a country with great chess culture” in an interview with chessdom.com after the game (see above video). 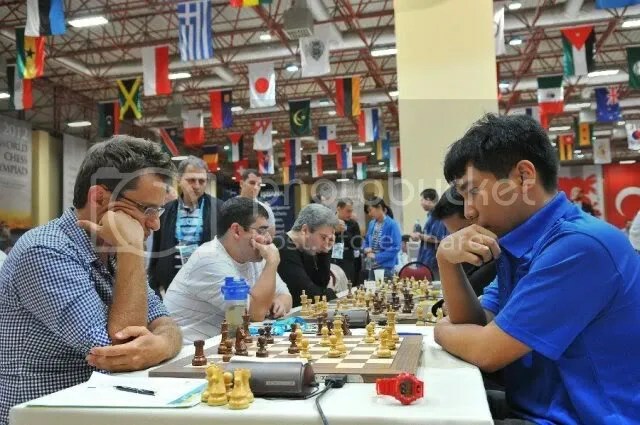 Additionally, he advised Wesley So to “play many tournaments, continue improving and concentrate a bit more on positional chess”. 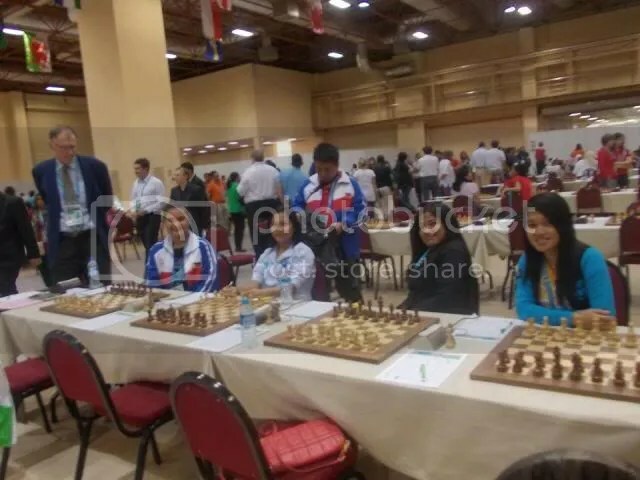 Team Philippines (Women), registered their 3rd win in 4-rounds, a 3-1 win against Mexico. 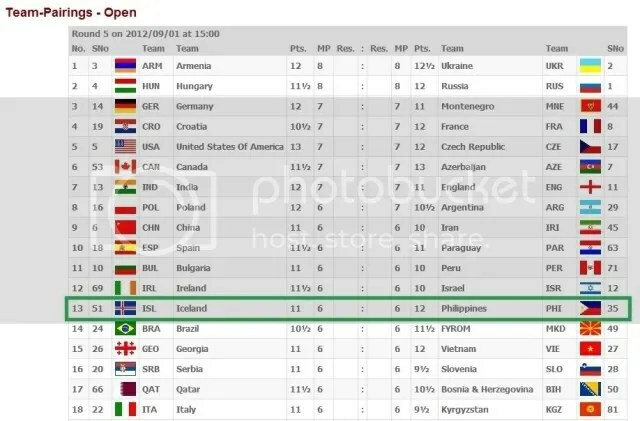 For R5 Team Philippines (Open) will now be paired with the #51 seed Iceland. 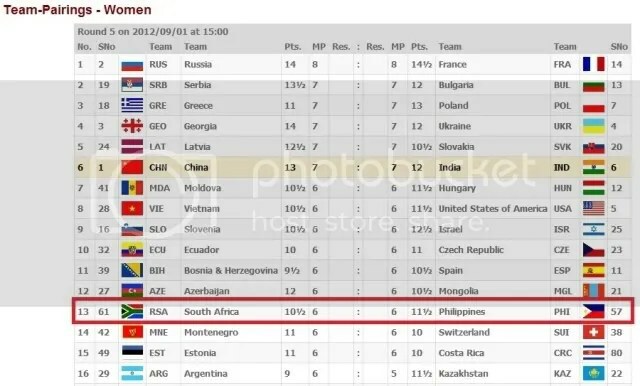 While Team Philippines (Women) plays #61 seed South Africa. 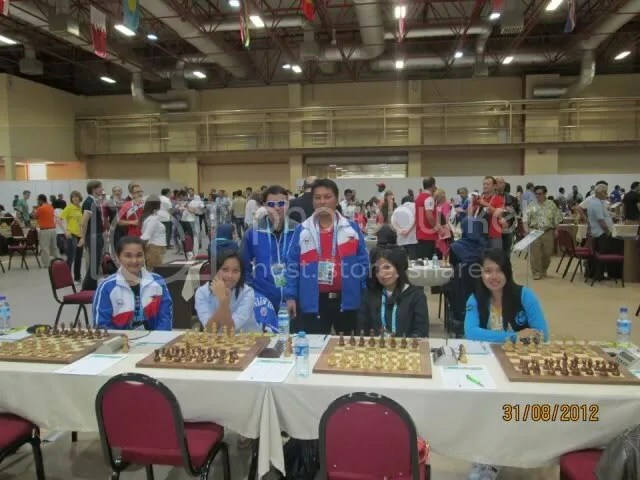 Team Philippines (Open & Women) both scored 3-1 against their respective opponents in Round 5. 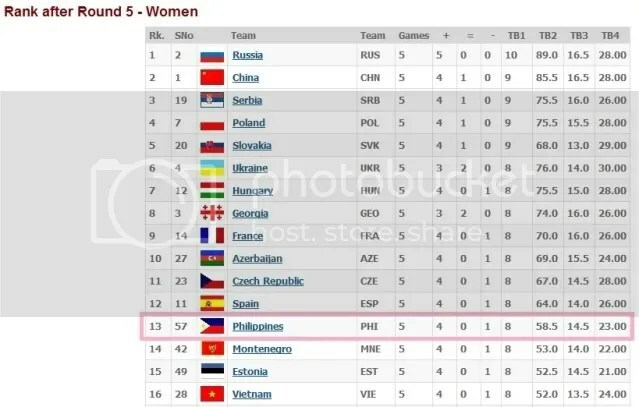 With these feat, Team Philippines(Open) is now in 11th position while Team Philippines(Women) now in 13th position with 8-points each from their respective 4Wins & 1Loss in five rounds.